1. Wash the bucket out good. Duh. It had dishwashing chemicals in it. Probably not the healthiest stuff to contaminate your dirt later. Take a big sip of wine. Wash it down with coffee. 2. Try to scrape the painted-on-label off. It won’t work, but go ahead. Try any way. 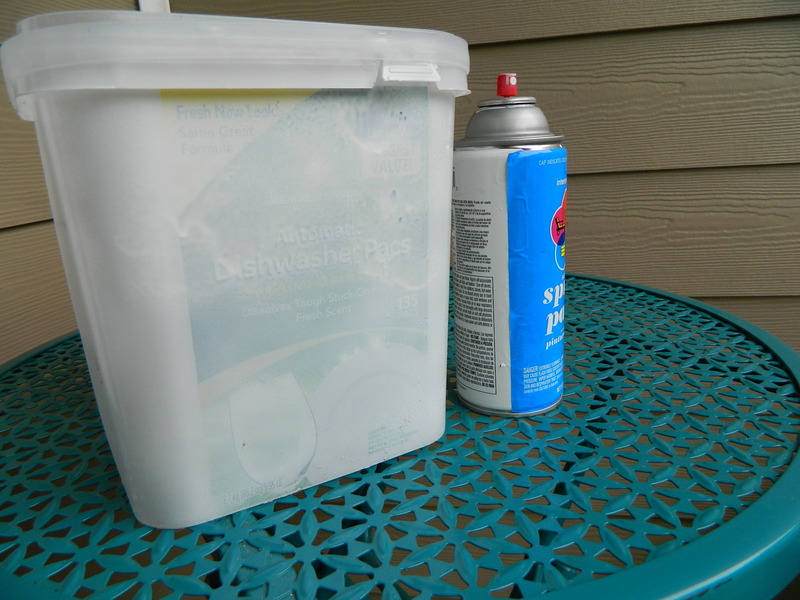 When you give up, grab that spray paint and lay on a light coat or two to help hide the label. The wine and paint fumes might make your head spin. That’s ok. That just makes step three even more fun. 3. 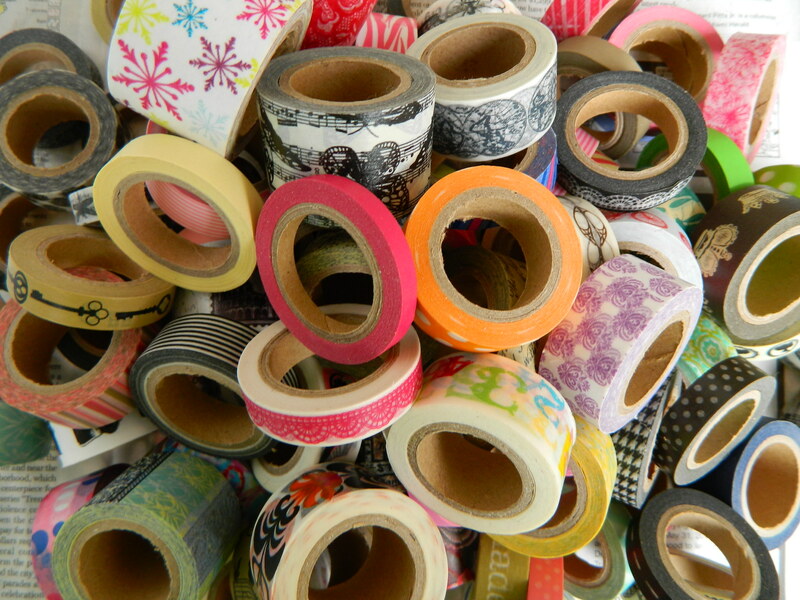 Dump out all your washi tape (or craft tape, if you prefer) and try to make a decision about what patterns you want to use. Chase the escaping rolls around your living room and put them back in the bag. Don’t forget the ones that rolled under the furniture. Better have another sip of wine. 4. 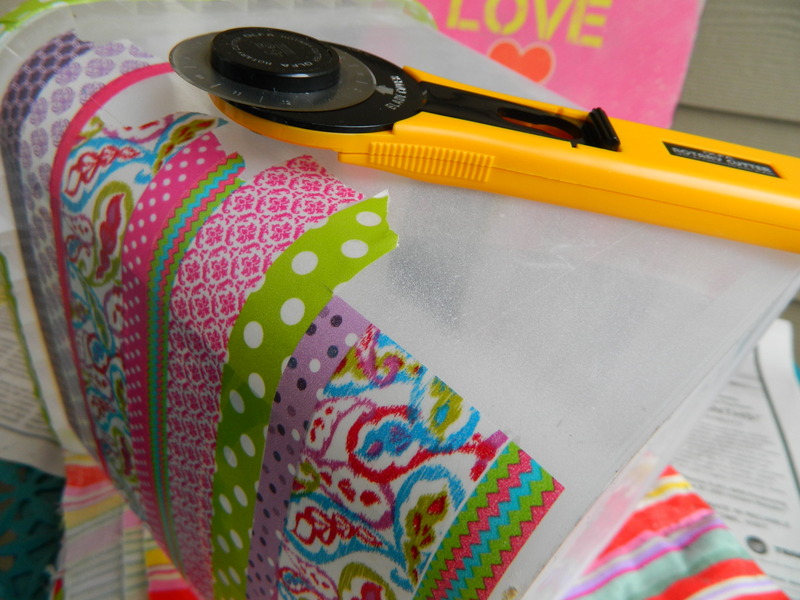 Apply the washi tape. Don’t worry about being too neat and tidy on the edges. We’re gonna fix that up later. I used a horizontal pattern. You can go vertical, or everywhichaway if you want. 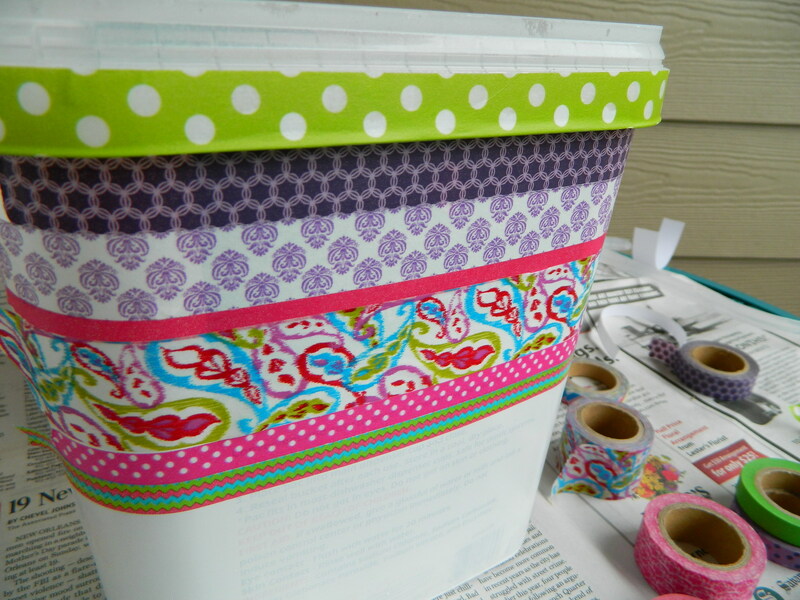 I only decorated over the faces of the bucket that had a label. I thought it would be kind of cool to see through the sides and watch the roots and things grow. A few more sips of wine escalates this step to “high art”. I like horizontal stripes. You do what you like. 5. Take a straight edge and a sharp blade (I used the rotary cutter in my sewing tools. You can use an Xacto knife or just a box opener if you have it). Trim the edges nice and neat and peel away the excess. If your hands are shaking or your eyes are crossing from all those sips of wine, I suggest you wait a bit for this step. 6. 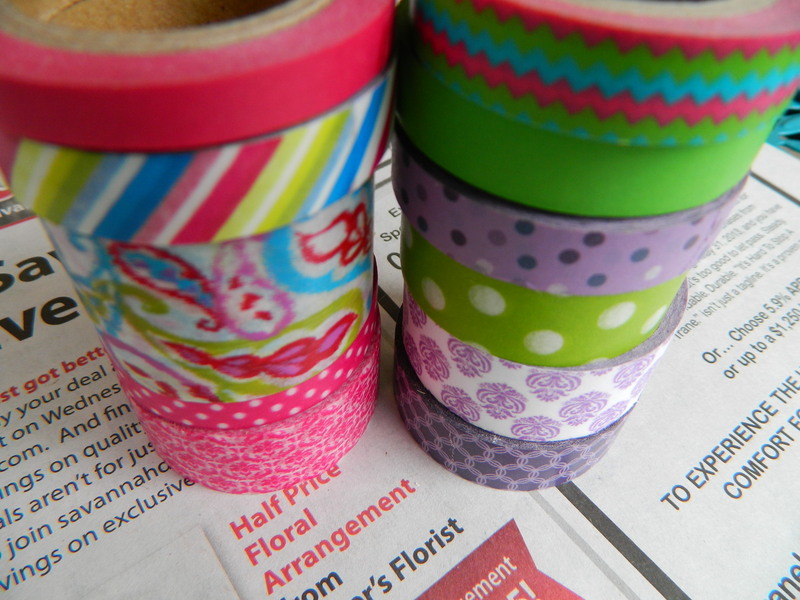 Grab your mod podge. Put down some newspaper if you are messy like me. Follow the directions and start slathering that stuff on. Be sure to go BEYOND the edges of your tape for thorough weatherproofing. 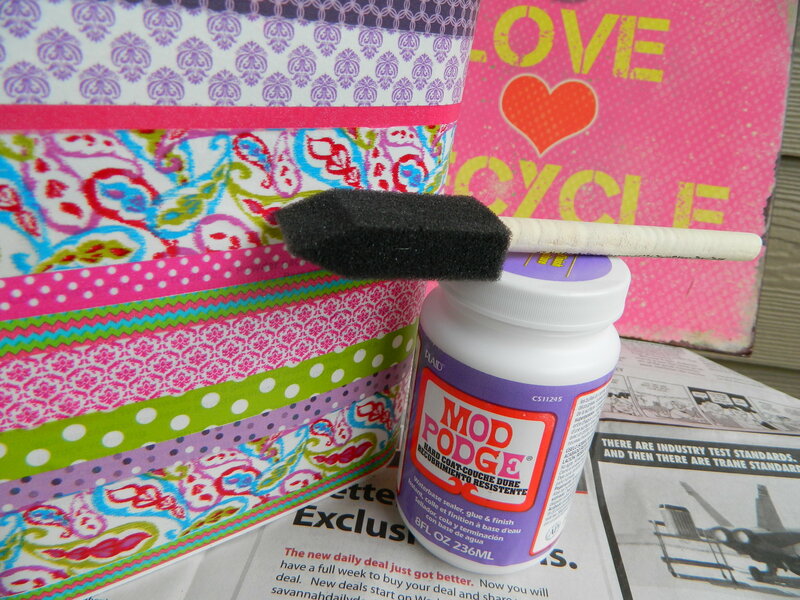 Stop sniffing the mod podge. It’s not pungent enough to be any sniffing fun. I used five coats of mod podge and let it dry at least 20 minutes between coats. 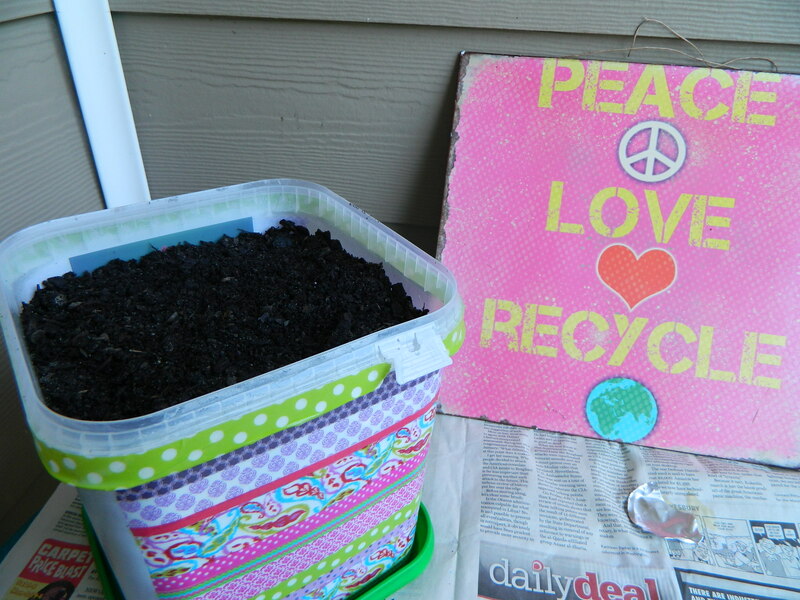 Poke a few holes in the bottom before you fill it with dirt. five coats later. Sadly, no sniffing the glue. 7. Add your sweet potato cuttings, and voila! There you have it. 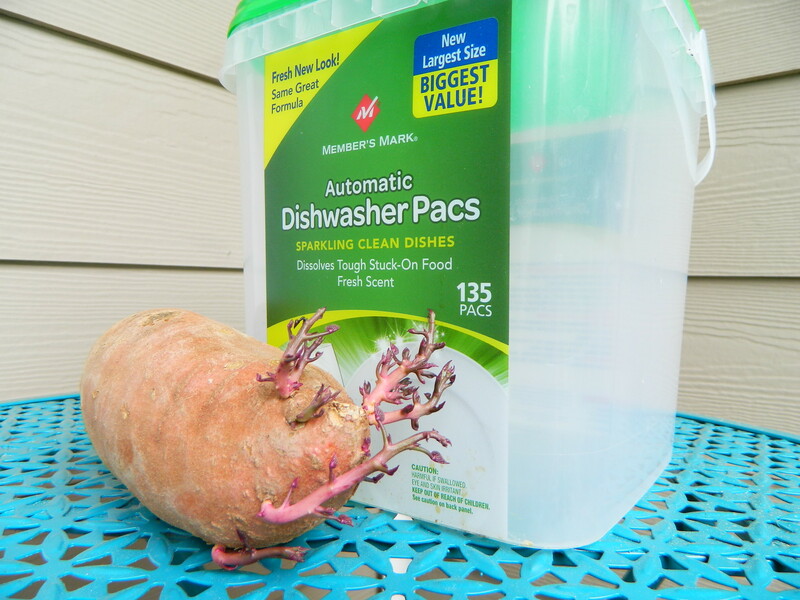 An upcycled plastic bucket for growing a sweet potato. Go ahead. Finish off that bottle of wine. You’ve earned it. 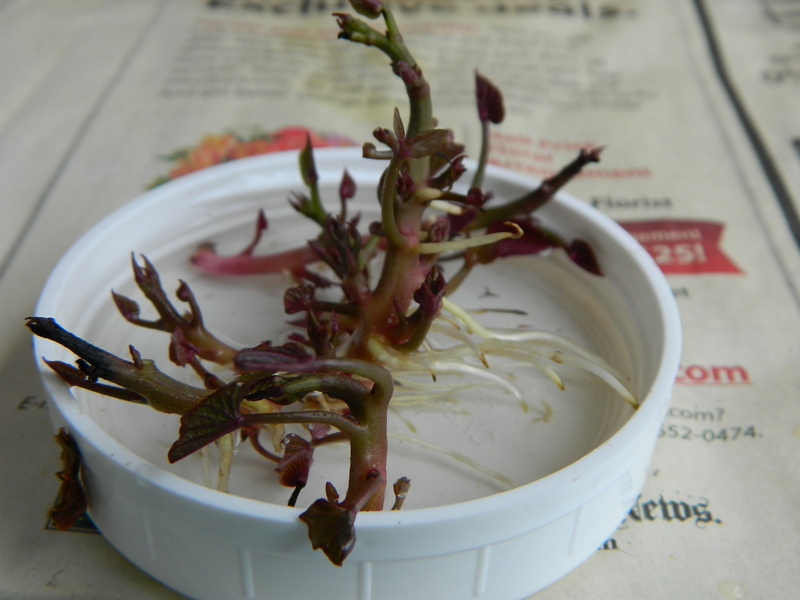 I just pulled these sprouts off a sweet potato and let them sit in a bit of water for a few days before planting. They root super fast.